The BV80 series has been discontinued. Please contact our Flow Engineering department. 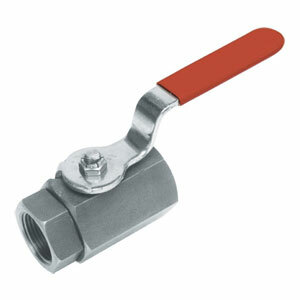 The BV80 Series is a standard port, two-piece body offered in 1/4 thru 2" pipe size. Proper valve selection is dependent on your flow and functional requirements as well as physical size and value considerations. The BV80 Series, all internal components, including the polymer seats, are precisely machined to strict tolerances, assuring repeated bubble tight sealing and maximum valve life. Our spring loaded stem seal provides automatic compensation for stem seal wear and thermal expansion and contraction. Each valve is bubble tested to ensure reliable, leak tight performance. The BV80 Series are ideal for automation when coupled to our compact pneumatic or electric actuators. The BVP80, BVPS80, and BVPE80 Series are ball valves coupled to actuators.